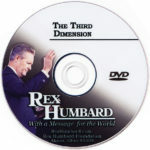 The Rex Humbard Foundation stands as one of the premier media evangelism organizations in history. It was not only the original weekly televised church outreach, beginning in 1952, but also produced numerous television programs across the United States, Canada and around the world. The Foundation has published and distributed special editions of Bibles, Scriptures, audio and video tapes, and a truly remarkable array of Christian books. The powerful prayer ministry has served as a comfort and inspiration to millions. At its peak the programs of the Rex Humbard Foundation were seen on more than 600 stations in the United States and Canada, and also more than 1400 additional stations around the world. The services were broadcast in 77 different languages. Rex himself was amazed to see how the Lord would move in the hearts and lives of those who tuned in each week to hear his simple Gospel message of salvation. In 1906 Alpha Rex Emanuel Humbard began a ministry in the outback rural region of Arkansas. Pastor Humbard was known as a “Circuit Riding Preacher”. He traveled by horseback and mule from one small Arkansas town to another to preach and give an invitation for those in attendance to dedicate their lives to the Lord. 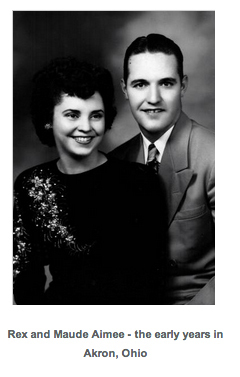 In 1933, his eldest son, Rex Humbard, at the age of 13 dedicated his life to the Lord and began a daily radio ministry on KTHS radio in Hot Springs, Arkansas. 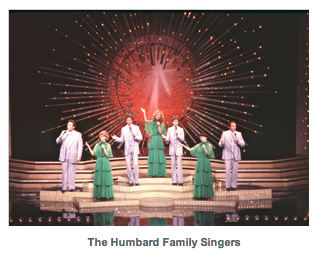 From that time forward, the Humbard family was involved in radio and television until this very day. 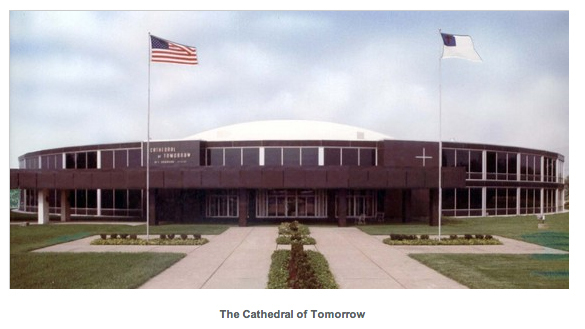 In 1952 God placed a calling upon Rex’s life to locate his work for God in Akron, Ohio; found a church known as the Cathedral of Tomorrow and begin a worldwide outreach through television and radio. 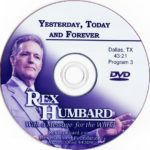 This was clearly the calling of God, borne largely on Rex’s complete faith and resourced by thousands of committed Christian followers across North America and eventually circulating the globe. Countless multitudes of lost souls have come to faith in Christ through the past decades as a direct result of this unique ministry. 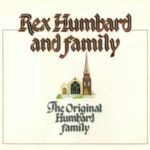 In the years that followed many other religious ministries began their work through television, but Rex and his family “turned the fertile soil of Salvation to sow the seeds of faith in the hearts and lives of a lost and hurting world.” At its peak the programs of the Rex Humbard Foundation were seen on more than 600 stations in the United States and Canada, and also more than 1400 additional stations around the world. The services were broadcast in 77 different languages. Rex, himself, was amazed to see how the Lord would move in the hearts and lives of those who tuned in each week to hear his simple Gospel message of salvation. 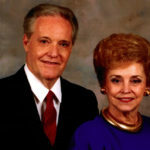 If you would like to know more about Rex’s life, his friendship with Elvis Presley and Jimmy Hoffa, and how as a 13-year-old boy he began a radio and television ministry that would circle the world with the Gospel message, Rex’s autobiography, “The Soul Winning Century”, is available in our store. 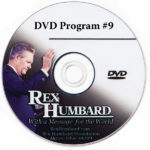 Following the establishment and building of the Cathedral of Tomorrow, God laid upon the hearts of Rex and the Humbard family to carry the word of Christ to the entire world through crusade services, where the family could meet and actually touch those who watched the weekly TV programs from America. 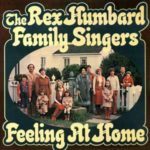 Beginning in the early 60’s, Rex and the family began conducting services across the United States and Canada, and eventually around the world. From Beckley, West Virginia, Atlanta, Georgia and Regina, Saskatchewan to the largest cities on earth the family carried the word of God to a lost and hurting world. 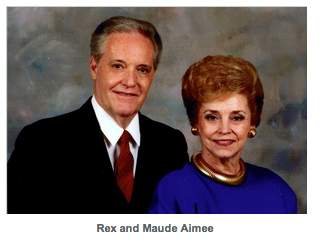 Traveling from the Philippines to the continent of Africa… from Chile, Brazil, Paraguay and Argentina in South America… to Japan and Australia, the Rex Humbard family carried the torch of love and salvation all around the globe. In one service alone, in Rio de Janeiro, Brazil, more that 180,000 Brazilians attended the one televised crusade meeting and over 100,000 came forward to dedicated their lives to Christ. In the South American crusades, over one million people attended in person to hear the family sing and Rex bring the word. The nation of Chile was especially warm and receptive to the message of the Humbard family. Some of the greatest crusade services ever conducted by the Humbards took place across Chile. The crusade ended with a wonderful Sunday afternoon service in the national football stadium where more than 100,000 attended and many thousands came forward to accept Christ at the time of prayer and dedication. Africa was ripe for the word of God. Services in Liberia, Kenya and other various locations saw a great harvest of souls. Thousand would walk many hundreds of miles to meet the “Man of God” and hear the ministry they had seen on their televisions. One family actually showed the family a photo of their village watching the Sunday morning service on their battery powered television; they had no electricity in their village. In Manilla and all across the great nation of the Philippines the family met and ministered Christ’s message of hope and salvation. In Manilla, more that fifty-thousand attended a crusade in the very stadium where “The Thriller in Manilla” took place between Muhammed Ali and Joe Frazier weeks earlier. The crowd for this service was even larger than the crowd that attended this world famous sporting event. All across Australia, God message was delivered in cities such as Melbourne, Perth, Adelaide, Hobart (Tasmania) and even the Sydney Opera House. In Sydney the crowds were so large Rex, Maude Aimee and the family were forced to conduct five services in one day. As Rex would preach, Maude Aimee and the Family would go outside to greet those standing in line for the next service.